posted on Tuesday, January 29, 2019. 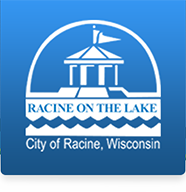 In an abundance of caution; City Hall, City Hall Annex,Municipal Court, Racine Library, Festival Hall, will be closed Wednesday due to the cold weather. All offices are expected to reopen On Thursday at 1:00 P.M.
Police and Fire/EMS services will still be available. The Public Health Department will be available for No Heat related calls only, driving conditions permitting. The Racine Library will be closed. Racine Municipal Court will be closed. (Located in City Hall Annex). Festivial Hall will be closed. All online payment services will remain available. Of course we would like to thank our staff in police, fire, and public works for keeping essential City services going in the inclement weather.